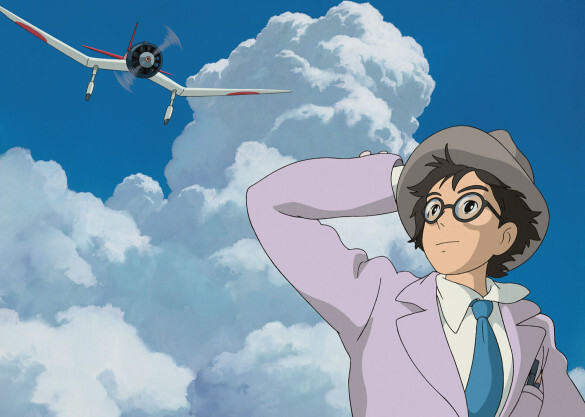 Hayao Miyazaki’s last film, The Wind Rises, is one heck of a way to go out if you’re wanting to go out on top. This film is absolutely beautiful and explores some pretty interesting ideas in the style only Miyazaki can bring. The dreamlike sequences our main character has are wonderfully made and take you into the air wherever the wind blows. If your a lover of planes especially, you’re going to love the territory this film goes. While this film has the ability to eliminate some demographics, most people can appreciate the importance of this story from the Japanese perspective. As Americans, we don’t always see the other side of the story in personal detail like we do in The Wind Rises and it’s quite the treat. Sure, it can be a bit stiff at times and perhaps on the unexciting side if you’re not into that sort of thing, but the relational pieces are just as engaging and relatable as anything else out there. It’s a gorgeous end for Miyazaki. Our story is about Jirô Horikoshi, who when he was a young boy in Japan started having dreams of flying planes or becoming an engineer to craft them, which is eventually what he grows up to do. Airplane technology dramatically changed from WWI to WWII and this story explores this from Japan’s perspective and how they were on the slow side of things. Jirô works for Mitsubishi, who was one company competing for the Japanese Air Force contracts, and he’s considered a genius who could help turn things around for Japan. Also, Jirô falls in love with an acquaintance he once met after an earthquake and the two’s relationship grows very quickly in some gorgeous and beautiful ways. The script almost works as two stories in one as both storylines rarely cross one another until the final moments of the third act. The exploration of that left left room for Miyazaki to introduce us too and involve some rather interesting characters, while keeping things rather engaging. The story takes a heartbreaking turn that is a little arduous but shows the realities of life that we all live. The Japanese Zero was one of the more difficult opponents the U.S. saw in WWII and it was Jirô’s work that led to that. Hideaki Anno was our lead voice as Jirô and while it wasn’t terrible by any means, he wasn’t a stand out either. There are moments of greatness here and in some scenes he was pretty stiff and didn’t quite drive certain emotions across leaving his lines of dialogue dry in some areas. Overall though, it’s not distracting and he serves the film well. Miori Takimoto was wonderful as the love interest and given the territory she goes down, she captures those feelings tremendously well. While her character isn’t wildly complex, it’s her simple story that works for the emotion this film goes for. Perfect. And you gotta love Masahiko Nishimura as Kurokawa. He was hilarious and added some great humor to the film, especially in some of the more serious moments. The score was done by Joe Hisaishi, who’s done some really great work in the past. The music actually plays an integral piece of the film, where dream-like sequences are carried by graceful musical elements that are pretty crucial. Each time we see a plane in the sky, the music becomes another character during the scene which is beautiful and engaging. Great work by Hisaishi. The Wind Rises is a beautiful film that explores the importance of Jirô’s work and his love life that takes some pretty terrible turns. In the end, both story elements turn against Jirô but it’s how he lived his life to the full in that time that is important. It’s a beautiful film through and through and is highly recommended. As a side note, I saw the original Japanese version in Japanese. The English version stars Joseph-Gordon Levitt, Emily Blunt and a few others as well.